When I was 14 years old I became obsessed with finding treasure. This was not some trivial fantasy, the whim of an adolescent with too much time on their hands and not enough friends. I had no desire to become a pirate or the next Indiana Jones; to me this was a serious business. I wanted more than anything to find buried gold and lots of it. And I wanted to find it in a field (preferably the one opposite my house) and quickly, with minimal effort. It was nearing the end of 1992 and the largest hoard of Roman silver and gold had just been discovered in Britain, no less than half an hour from my family home. Eric Lawes, a retired gardener and amateur metal detectorist discovered the ‘Hoxne Hoard’ whilst searching for a missing hammer. He ended up making 1.75 million from his discovery but at the time it was widely reported in the tabloids that the net worth was in excess of 10 million pounds. It was all my 14 year old self could think about and I badgered my parents relentlessly for a metal detector; they refused. I drew maps of the local area, meticulously working my way up and down the surrounding fields, armed only with a trowel and my dad’s best walking stick. Alas the closest I came to finding any treasure where a couple of battered Victorian pennies and some bleached animal bones. By the end of February the following year I was bored of trudging through muddy fields in the cold, poking at stones and returning home sodden and empty handed. But, for those 3 short months I was Juanita ‘Treasure Hunter’. To this day I still consider myself a hunter of hidden bounty. At this time of year in particular, I can again be found trudging through fields stick in hand, however it’s a very different kind of treasure that I am after. The hedgerows are currently burgeoning under the weight of all the edible delights that are available at this time of year; blackberries, elderberries, rosehips, rowan and hawthorn berries glitter in the late autumn sunshine, more precious than any jewel. 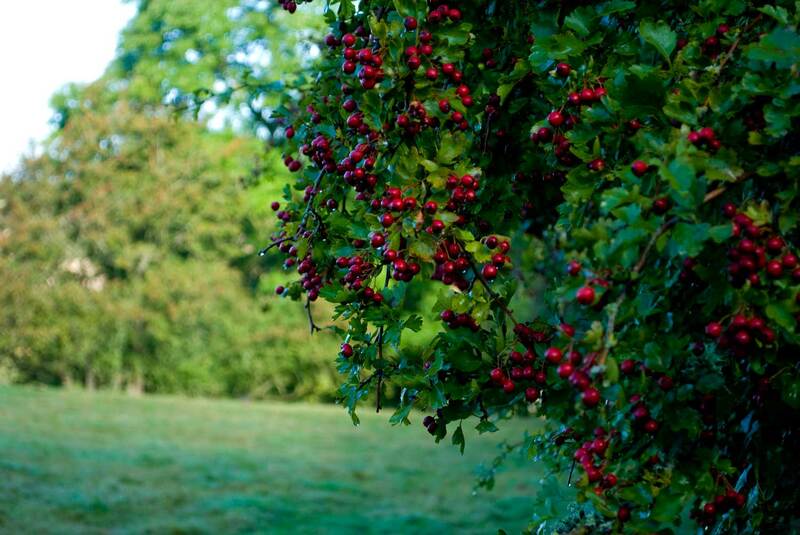 Trees are laden with damsons, sloes and crab apples; perfect for making jams and chutneys. Hazelnuts, sweet chestnuts and walnuts come encased in their very own decorative cases offering the finder a delicious reward once prised open. Early autumn offers the keen cook such a wealth of ingredients I liken it to stepping outside into nature’s own larder. The rewards I can reap make me feel richer and more fulfilled then any Roman coins could have done – and unlike my 14 year old self all those years ago, I never come back from my ‘treasure’ hunting expeditions empty handed or disappointed.